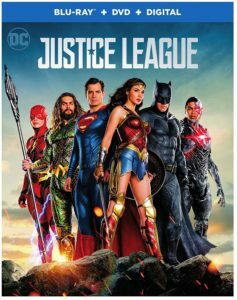 Starring Ben Affleck, Henry Cavill, Gal Gadot, Ezra Miller, Jason Momoa, Ray Fisher, Amy Adams, Ciarán Hinds, Diane Lane, Amber Heard, Connie Nielsen, Robin Wright, Billy Crudup, J.K. Simmons, Kiersey Clemons and Jeremy Irons. After the death of Superman, Batman has to assemble a team of superheroes to combat a powerful alien threat. Joined by Wonder Woman, The Flash, Aquaman and Cyborg, they must put aside their differences to save the world from Steppenwolf. 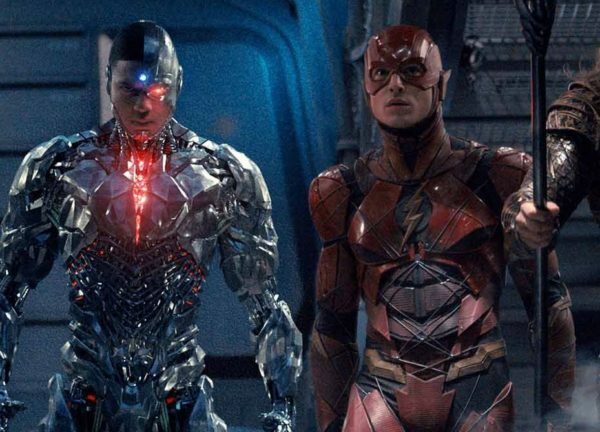 As the culmination of Warner Bros.’ efforts to create a DC cinematic universe, Justice League should have been much more that it turned out to be. 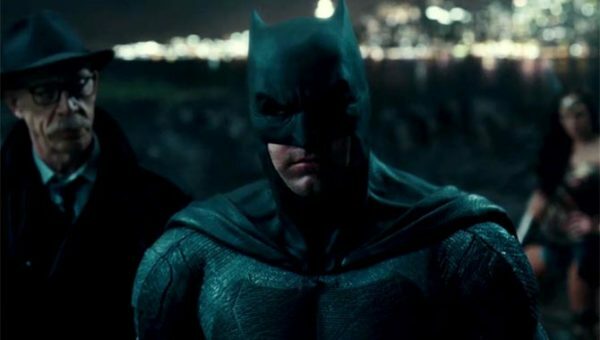 Due to extenuating circumstances such as WB’s interference in the production process and the tragedy Zack Snyder and his family went through last year, as well as WB’s decision to have Joss Whedon rewrite and reshoot a good portion of the film, Justice League feels like a mishmash of clashing visions that doesn’t feel like a cohesive story. Time and hindsight has changed my opinion as this is different to what I said in my original review of the film. I’ve also spoken at length on my thoughts regarding the mistakes WB made during production so I don’t have too much more to say on the film itself. However, I still stand by most of my review. While Justice League won’t match the likes of The Dark Knight, Logan, Avengers or even Man of Steel, it is still an enjoyable and fun film to watch. The cast largely sells the film. 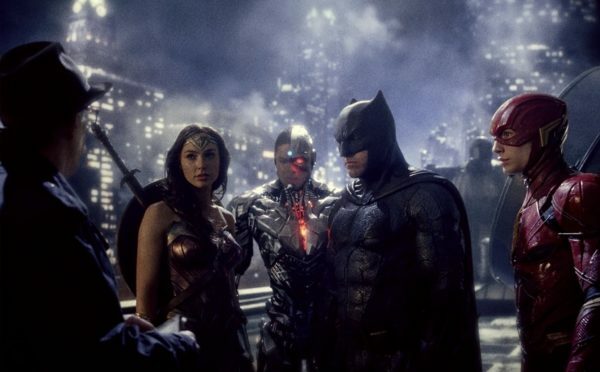 It’s great to see Ben Affleck and Gal Gadot interact for more than a couple brief scenes and they share nice chemistry with newcomers Jason Momoa, Ezra Miller and Ray Fisher. 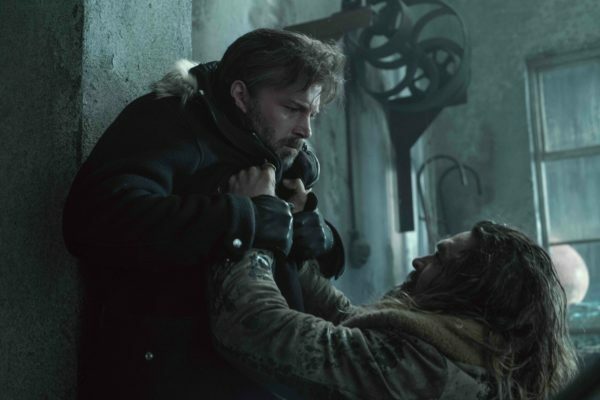 Momoa’s performance as Aquaman stands out and makes me excited for his standalone film later this year while Fisher steals much of the show in a subtle and nuanced performance as Cyborg. Henry Cavill, of course, makes his return as Superman and uses every bit of his brief screentime to his advantage, showing a fully evolved Superman helping to save the world. However, the film falters by not showing enough of Superman, giving too little too late. The two deleted scenes that appeared online and are included on the Blu-ray should not have been cut, while Danny Elfman’s score is lacklustre throughout the whole film and doesn’t contain nearly the same emotion as Hans Zimmer’s. Superman’s presence is definitely one of the balls WB dropped. The Blu-ray itself contains a nice collection of features for fans of the film, giving nice, insightful looks at its (initial) production. Interestingly, while Joss Whedon is nowhere to be found in the features or behind the scenes footage, neither is Zack Snyder for the most part. There’s footage of Snyder on set giving directions and explaining some stuff to the actors, but he doesn’t appear in any of the talking head segments. His wife Deborah Snyder, who was an executive producer on the films, is seen in these, but not Snyder himself. It further adds to the clash of visions the film had. The Return of Superman – These are the two aforementioned deleted scenes where Superman gets his new suit and later visits Alfred to find out where the League is. While neither of these scenes admittedly advance the story, these shouldn’t have been deleted for the character and thematic development of Superman and Snyder’s overall trilogy as he chooses to become a hero and fight for his world despite the events of the previous films. Road to Justice (14 min) – A look at the history of the Justice League in comics and animation. It’s a pretty interesting look at how the team has evolved throughout the decades and we see some big names from DC’s history discussing why they think the team is so special. We hear from Geoff Johns, Jim Lee, Grant Morrison, Marv Wolfman and Bruce Timm to name a few. It’s a nice look at how and why the Justice League became so popular. Heart of Justice (12 min) – DC’s biggest three heroes are undoubtably Batman, Superman and Wonder Woman. This feature looks at the relationship the three have and what they each represent to each other and the DC Universe. 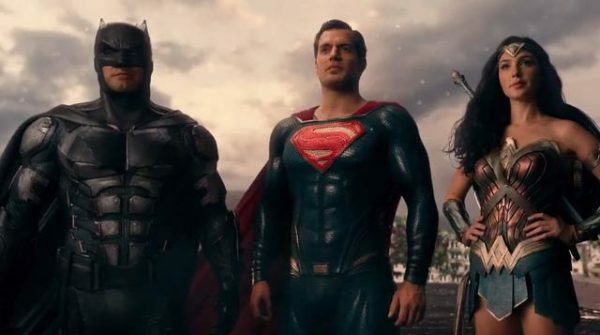 The three are such wildly different characters with varying opinions and outlooks on life and how to protect the world, but many of DC’s big names again explain why they work so well together. It’s an intriguing look at how writers and artists have adapted them in the past. Technology of the Justice League (8 min) – We get a look at the creation of much of the tech in the film, such as Batman’s Flying Fox and Nightcrawler. The feature goes into the visual effects involved to creating these looks, but also has an interesting look at the practical sets they made for these two machines and how they operated. There is also a cool look at how the team created Flash’s costume and their reasoning for what could take on Flash’s incredible speed. 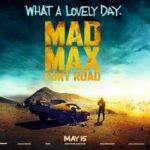 It’s a pretty insightful look into the film’s effects. The New Heroes (12 min) – Ray Fisher hosts this feature on the newcomers to the League and goes over the history of Aquaman, Cyborg and Flash. It offers a nice rundown of how these characters came to be for those who don’t know the comics and why they became such integral parts of the DC Universe. The feature also doesn’t shy away from Aquaman’s goofy status among the mainstream audience and addresses it head on while they also talk about why important Cyborg is now in our technological and social media driven world. Steppenwolf the Conqueror (3 min) – This feature devotes itself entirely to the film’s villain, Steppenwolf, a high-level minion of Darkseid. There’s some nice stuff here about the influence from the great Jack Kirby and his New Gods, as well as discussing Steppenwolf’s motivations in both the film and comics, but ultimately this is a very brief feature. Given Steppenwolf’s status as one of Darkseid’s top lieutenants, along with the mention of Kirby, a lot more could have been said in this. Suit Up: The Look of the League (10 min) – One of the best things about Justice League is the costume design on the heroes. Each League member looks different and the level of detail in their costumes is astounding. This is a very nice look at how the costumes came together and were designed , using both the actor’s physicality and the character’s personality to create the perfect onscreen look. Of particular interest is Gal Gadot revealing she had 14 versions of the Wonder Woman costume, each one meant for a different purpose, and how they created Cyborg out of Fisher’s motion-capture suit. Scene Studies (15 min) – This collection of behind the scenes footage looks at how several of the film’s big moments were done. ‘Revisiting the Amazons’ is a highlight as we get to see how the women prepared for the big battle while ‘Wonder Woman’s Rescue’ offers a fairly different and more elaborate fight scene in the rehearsals, perhaps showing bits of what might have been cut. ‘Heroes Park’ is another highlight and features a lot of discussion about Zack Snyder’s vision for Superman’s return and his face-off with the League, showing much of the pre-visualization and preparation for Superman and Flash’s fight. 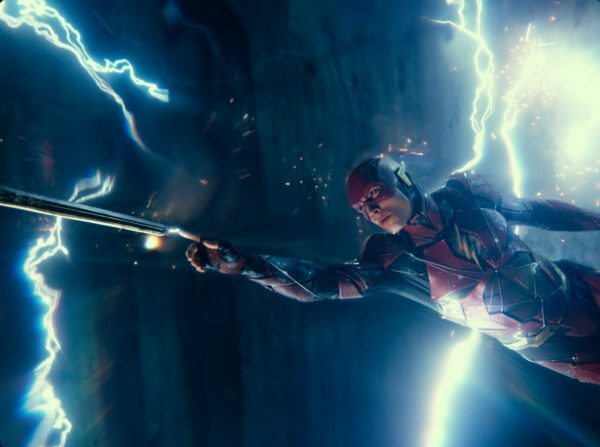 If you were disappointed with Justice League, chances are you won’t be picking up the Blu-ray and the special features will only add to your frustration over the film. 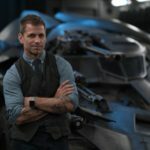 If you did like or at least enjoy it, they offer an intriguing look at the film’s production, Snyder’s vision and how they accomplished some of the film’s biggest and best moments. Justice League is a fun, if uneven, film with a great cast that shares nice chemistry, though even they’re not super enough to erase the flaws. Going to be honest I did enjoy this film, I just felt how they brought back Superman was weak, especially given the teaser of the soil rising at the end of Batman v Superman. I just dont understand the way that they brought him back, like seeing Lois and a second later he’s back in the room as if nothing happened. Seeing a darker side to Superman for a while longer would have been awesome. it feels like originally Snyder had some kind of plan for Darkseid bringing back Superman and using him to conquer earth, which lines up with the vision Batman has in BvS. I kind of want to see what this is about. I guess I’ll see this for my new blu-ray player and see what that weird Lex Luthor scene on the Superman Versus Batman Blu-ray was a bout.